Mehandi Cirus revolves around the love between a guy living in Poombarai (near Kodaikanal) and a circus performer. It is a feel-good a romantic tale which has been delivered to perfection. However, one might have a line or two to talk about the movie’s pace, which clings on to the slower side as the movie progresses. Also, with the fact that the leads are fresh and with the heroine playing a Maharashtrian girl, the audience will take some time to get connected to the story. Cuckoo and Joker film fame Raju Murugan’s brother Saravana Rajendhiran has made his directorial debut now with Mehandi Cirus. Raju Murugan has worked on the story and dialogues while Anand Shankar and Shan Karuppusamy were part of the screenplay department. One circus stunt act comes in as a crucial plot point but that act was overused. The act was thrown at us over and over again. And when the hero does the act in the climax, it looked way too dramatic and unwanted. There is one twist in the tale which looked very obvious, that portion looked a little stretched as well. 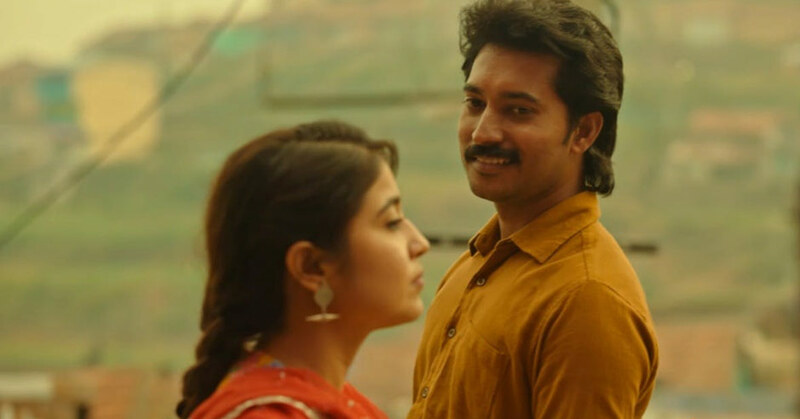 Debutants Shweta Tripathi and Madhampatty Rangaraj play the lead, maybe at the beginning, you might wonder if you can watch a full-length love story with two freshers in the lead but just as the story opens up, you will understand that they are just so perfect for this subject. Both of them have delivered exactly what was needed from them. They join the list of talented actors to watch out for. The director has been keen on concentrating on every nut and bolt of the movie. And the performances rendered as a result of his detailing are brilliant. Even the supporting actors like Maarimuthu, Anchur Vikash and Sunny Charles have all effectuated excellence. RJ Vigneshkanth chips in with a couple of laugh-worthy moments in another wise intense script. Sean Roldan as proved yet again that he is a class musician who will give you some quality music provided he gets a solid script that has good scope for music. The songs and the background music in the film has those magical fingers that can directly touch the heart. Mehandi Circus is a perfect tribute to Ilayaraaja, a lot of his songs are being played in the background and they keep talking about him all the time. People who were once used to the tradition of buying audio cassettes might feel nostalgic. The film has been shot in places like Kodaikanal and Maanagaram cinematographer Selvakumar has captured hillside locations so beautifully, some of the shots were artistically brilliant.